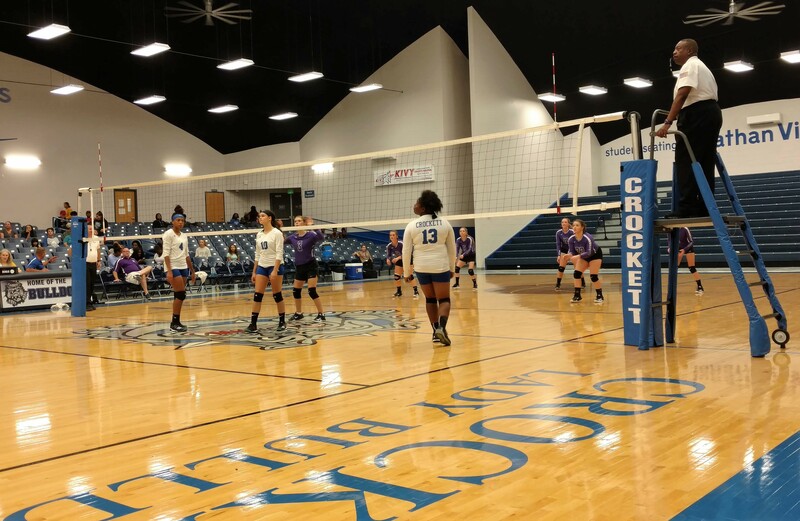 CROCKETT – The Crockett Lady Bulldogs welcomed the Kennard Lady Tigers to the Andrew J. Hopkins Activity Center on Friday, Aug. 10 for their first volleyball game of the season and walked off the court with a convincing 25-8, 25-18 and 25-8 win. The Lady Bulldogs dominated the first game of the match and led by as much as 18-3 before they costed to the first game win at 25-8. The second game of the match saw the Lady Tigers and Lady Bulldogs battle back and forth throughout the contest. Crockett jumped out to an early 7-0 lead only to see Kennard battle back and pull ahead, 8-7. The Lady Bulldogs then rattled off seven straight points to take a 15-8 lead. The Lady Tigers wouldn’t go away, however, as they eventually whittled the lead down to four at 20-16. Unfortunately for Kennard, they couldn’t quite complete the comeback and fell 25-18. With a comfortable two game lead, Crockett jumped out to a 13-0 lead in the third and final game of the match and then coasted to the 25-8 win to sweep the match.